13 | July | 2010 | Will You Miss Me When I'm Gone? 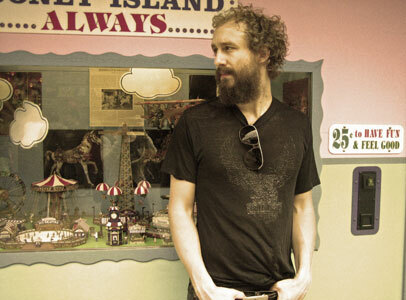 BREAKING NEWS: Phosphorescent’s stolen van recovered, complete with gear! In a matter of days, Matthew Houck and his band Phosphorescent have had their lives turned upside down and now, suddenly, uprighted again! The band publicist announced Tuesday morning that the Brooklyn-by-way-of-Athens, Ga., band’s rental van, stolen from a Greenpoint, Brooklyn, street last Thursday night, hast turned up, complete and unharmed. note from label/management: we will of course return everyone’s generous donations. thanks so much for your love and support!